Many so-called search engine optimization (SEO) experts in the past created what were known as backlink networks on backlink farms with the sole purpose of creating backlinks. Although this was an effective strategy some time ago Google has since shut that down and now they punish content creators who try and game the system. Those were false backlinks, they were not real backlinks. A strong backlink is when the website where your backlink is housed is a good website but also relevant to the content on your site. There are different types of quality backlinks and they range from a PR1 to a PR10. PR stands for Page Rank. A PR1 is the lowest rank possible and a PR10 is the highest rank possible. To check the Page Rank of a particular website visit the Page Rank Checker. For this example, I’ll enter a hiking website called Alltrails.com. As you can see they are a 6 out of 10. The higher the Page Rank the more likely they will show up in the search engine results when someone is searching for information on hiking trails. 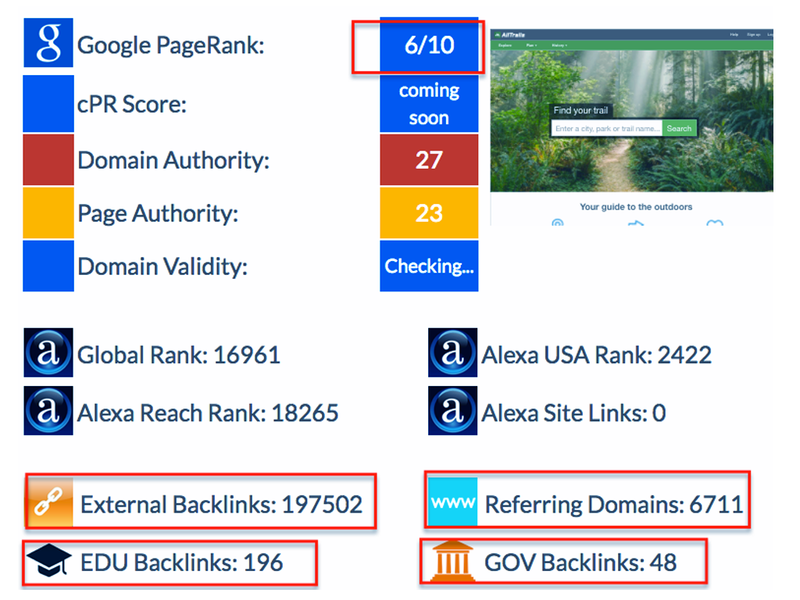 When you take a closer look at their backlink profile you can also see that they have a lot of external backlinks, referring domains, .gov and .edu backlinks. These are very authoritative backlinks coming from well-respected websites. The PR6 quality from a website like Alltrails.com is very strong. If you get a link from a website like this it’s like getting an A+ on your test. If you get a link from a site with a PR2 it’s like getting a D-. You still get some credit however it’s not really that beneficial. Ten solid backlinks coming from an authoritative website are infinitely better than hundreds of backlinks coming from a scammy website or a source with little to no authority. Think of it this way. Pretend you are giving a presentation in a room of 50 people. You have become an authority because 50 people are watching your presentation. It wouldn’t be the same if you were in the same room and there were 50 empty seats. You’re in the same room and giving the same presentation but the room is empty because you lack authority. Backlinks also need to be relative. For example, if your website is all about making money online and you have a website about weight loss linking back to your website it will not add any value to your backlink profile because it’s in an unrelated niche. Backlinks are like online votes that lets big search engines like Google & Bing know how important your website is. The more votes you get the better you rank. As stated earlier, not all backlinks are equal. 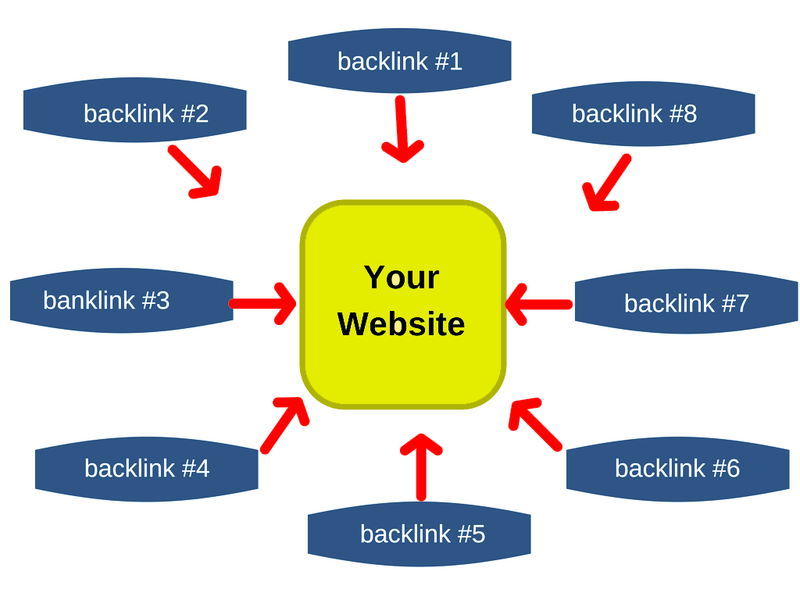 So you only want high-quality backlinks pointing back to your website. 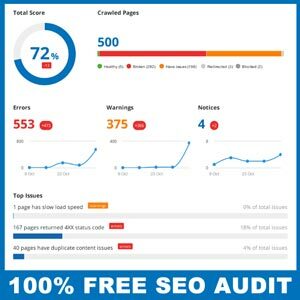 A great way to monitor your good quality backlinks or bad quality backlinks for free is within Google Search Console (formerly Webmaster Tools). There is a “do-follow” link and a “no-follow” link. The best way to describe this is it’s like taking a test. You take the test and you can get an A through an F. Regardless of the grade you receive, you still get some credit for taking the test. Well, the search engines recognize that you took the test and they use that to promote your website and help push yours through the ranks of the search engines. A “no-follow” link is when you don’t get any credit, it’s like you never took the test at all. People will still be able to click on the link that leads back to your website but you don’t get any credit for it. It’s easy to tell the difference between a “do-follow” and a “no-follow” link. Go to any link that resides on another website that is pointing back to your website. 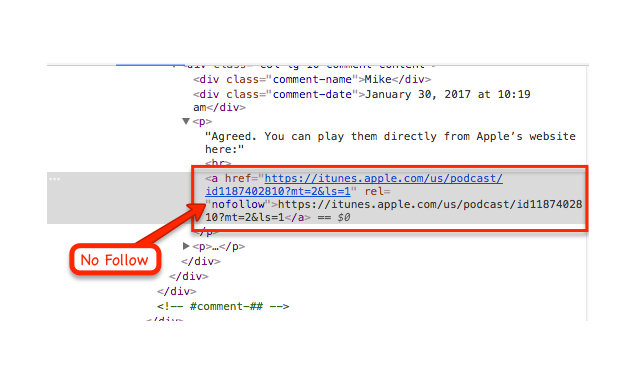 In the example below, you can see a link that is pointing to back to a podcast in the iTunes store. 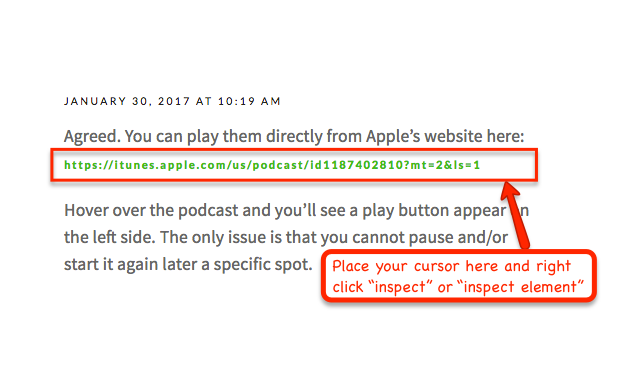 Notice that when I right-click on the link and select the “inspect” or “inspect element” a box similar to the one you see below pops up. You can now see that this is a “no-follow” backlink. Let’s visit another website and take a look at a “do-follow” backlink. 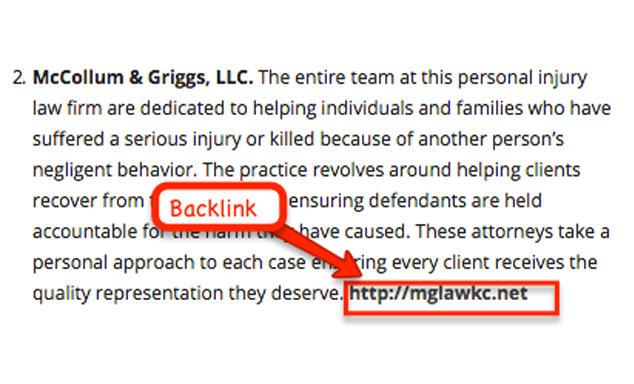 You can see the backlink to a law firm below. 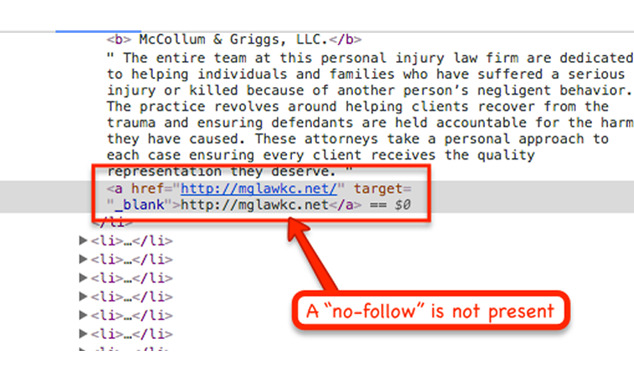 When I inspect the element on this backlink you can see the term “no-follow” isn’t present. So this is a “do-follow” link and in the search engine’s eyes, the website is getting credit as far as search engines are concerned. Now you know what to look for if you decide to hire an SEO company. You want to make sure if they are helping you build a link profile that the backlinks are “do-follow” and you also want to make sure that the link quality is good. Aim for backlinks with a PR3 to PR10 and diversity is always good. Also stay clear of spamming links because all this will end up doing is getting your website banned from the search engines like Google, Yahoo and Bing.